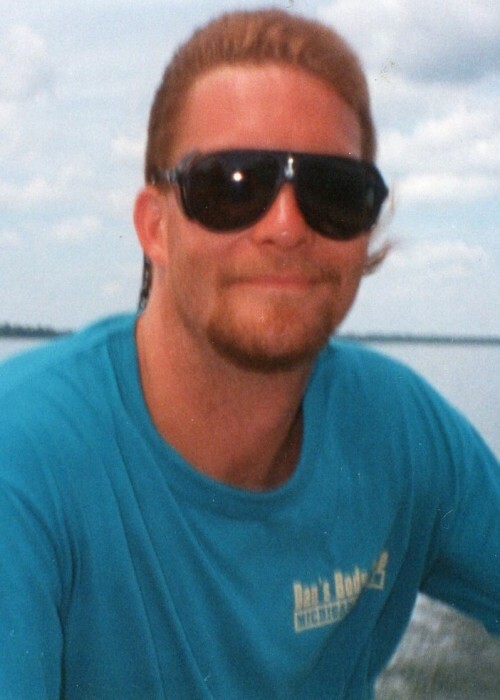 Robert Alan Hale, 53, passed away at home on Thursday night, March 28, 2019 surrounded by his wife and three kids. Bob was born on December 28, 1965 in Michigan City, IN, to Robert Ashton Hale, Jr. and Judy L. (Hibner) Hale. On July 13, 1985, Bob married his best friend Shannon (Barton) Hale who survives. Also surving are his children, Lindsay (Richard) Thomas of OH, Bobby (Ashli) Hale of IN, and Alley (Derek) Peloquin of MI; grandchildren, Kimber and Tucker Thomas, Zaydon Hale, and Carter and Kya Peloquin; his bonus daughter, Sarah Troxell; bonus grandchildren, Isaiah and Iyana Troxell; siblings, Robin (Kevin) Devereaux, Renee Hale, Christine Barton, Todd (Sandy) Barton, Dana (Ron) Butcher, and Dusty (Brenda) Barton; in-laws, Bo and Kim Barton; a slew of nieces and nephews; a great niece; and 2 great nephews. Bob was preceded in death by both maternal and paternal grandparents; his parents; and nephew, Willie Barton Butcher. Bob worked in the automotive industry as an auto body technician. He was a professional prankster, a die hard Cubs fan, a faithful Bears fan, a pool shark, a Candy Crush and Sudoku player, a fan of his mother-in-law's famous jello, a blue cooler carrier, a joke teller, a fisherman, and a master baiter. Bob loved to spend time with his children and to be surrounded by his grandchildren. He also loved to spoil his dog, Charmaine. Bob was tremendously loved and will be intensely missed. A Celebration of Life Memorial Service will be held at 11 am on Monday, April 1, 2019 at Cutler Funeral Home and Cremation Center. Visitation will be held from 4 - 8 pm on Sunday, March 31, 2019 and from 10 am until the time of service on Monday at the funeral home. The family requests to come as you are. No formal attire please. Memorial contributions may be made to the family c/o Shannon Hale, 2900 Monroe Street, La Porte, IN 46350. Condolences may be made online at www.cutlercares.com.